True North uses an organizing model called The Arc of Organizing, developed by the PICO National Network. 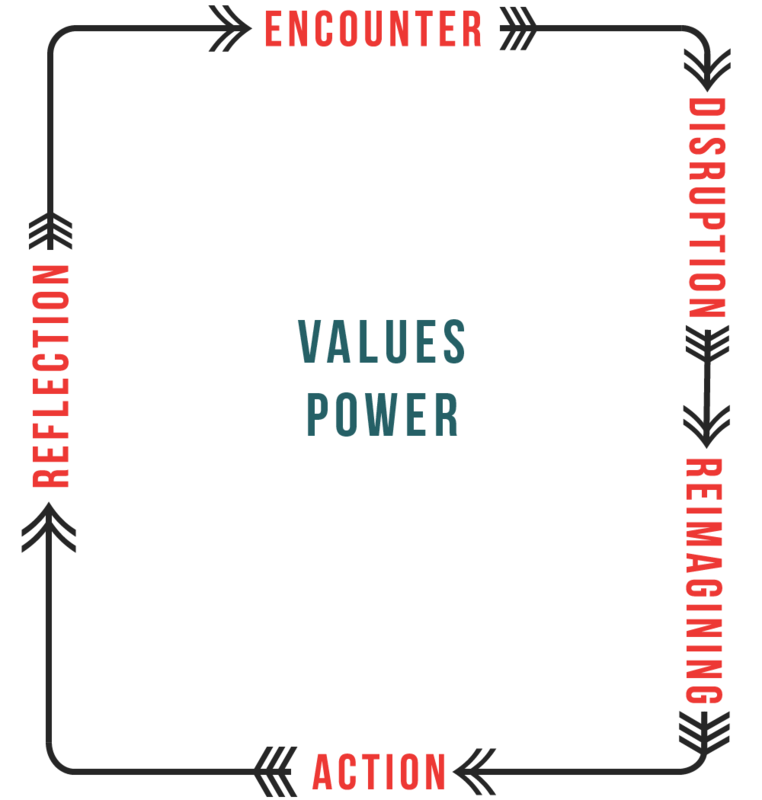 The cycle has five components, and centers on two key ingredients necessary for solid, relationship-based organizing: values and power. This style of organizing does not rally communities around a single issue, launch a campaign, and walk away at the end of a loss or victory. It is a long term process designed for sustainability. To truly change the circumstances for our communities, we have to commit to knowing each other, finding shared values, treating all people with dignity, and respecting cultural differences. There is inherent knowledge present in communities facing hardship, and we must respect and engage that knowledge as we seek change. The work undertaken by True North is discovered through 1-1 conversations, researched thoroughly and determined by members of the community. Understanding the stories of self, us and now. Leaders join Local Organizing Committees (LOCs), reflect on their own histories and realities and hold 1:1 encounters and group "House Meetings" with other community members. Resistance, awakening and research. LOCs unearth the issues in their communities and begin to research how they can make positive change. Creating a new vision for our reality. LOCs use their body of research to determine what kind of change they can make and what that will mean for their communities. Facilitating radical, systemic transformation. LOCs use their mutual relationships with those in power to implement the changes that they mapped out in the Reimagining phase. Evaluation of the process and learning. After the Action phase, LOCs reflect on the process, identify strengths and weaknesses, and plan next steps.